Orange Mountain Music presents the original motion picture soundtrack to the new film from director Woody Allen. Cassandra’s Dream represents the first collaboration between the legendary New York director the equally iconic New York composer Philip Glass. 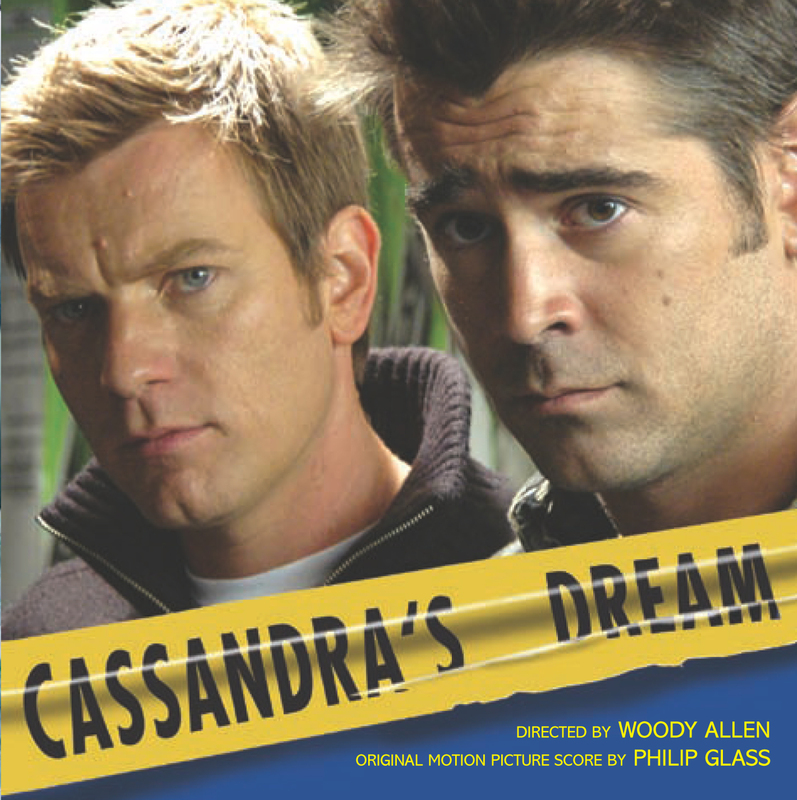 Cassandra’s Dream is the story of two Cockney brothers (Colin Farrell and Ewan McGregor) in south London and their relationship with a young actress (newcomer Hayley Atwell) who lands in London on her search for fortune. The original score by Philip Glass accompanies a story about ambition, love, lust and murder. The film was shot in London by eminent cinematographer Vilmos Zsigmond, while the Glass score was recorded in New York. Glass haunting music travels the gamut from the Cockney Brother’s initial innocence to an orchestral tour-de-force at the emotional climax as the main character’s world becomes unhinged.